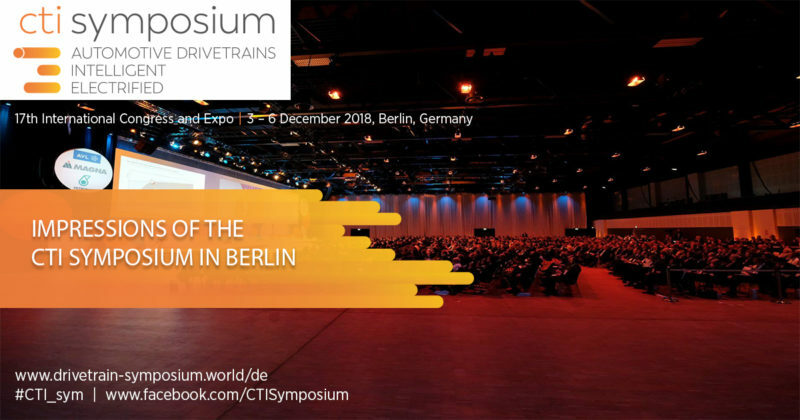 Today and tomorrow, over 1,350 transmission, EV & HEV experts from almost 30 countries are meeting up at the next CTI SYMPOSIUM to discuss the latest trends and developments in the automobile transmissions sector. If you couldn’t make it and would like to see some impressions of the CTI SYMPOSIUM, go and click the link below! Click here to see all impressions!